A world of outdoor recreation awaits you at Lakewood Resort Osage Beach. Situated in a private cove, Lakewood Resort offers spectacular waterfront views. 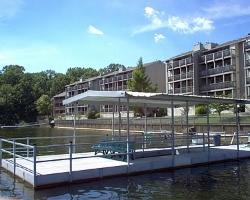 Lake of the Ozarks is a popular place for waterskiing, powerboating, and parasailing. Cast a fishing line from the dock, or arrange to rent the resort's fishing or speedboats. Back on land, choose from tennis on site, or golfing and horseback riding within five miles. This part of Missouri has a wealth of sight-seeing attractions. You'll also find scores of antiques and crafts shops throughout the area, as well as many historical sites and fine restaurants. 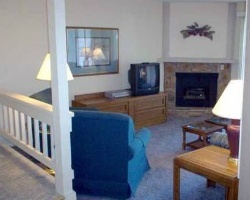 Relax and appreciate the lakeside pool and the immaculately landscaped grounds. Each unit is beautifully furnished and offers everything from major appliances right down to the smallest details, including an electric barbecue on your private lakefront deck. This is truly a place to create lasting family memories. Beautiful resort with stunning waterfront views! Annual week 18 usage! Inquire for details! Great resort for enjoying water activities! Waterskiing, boating, parasailing and more! Floating week! Inquire for details!